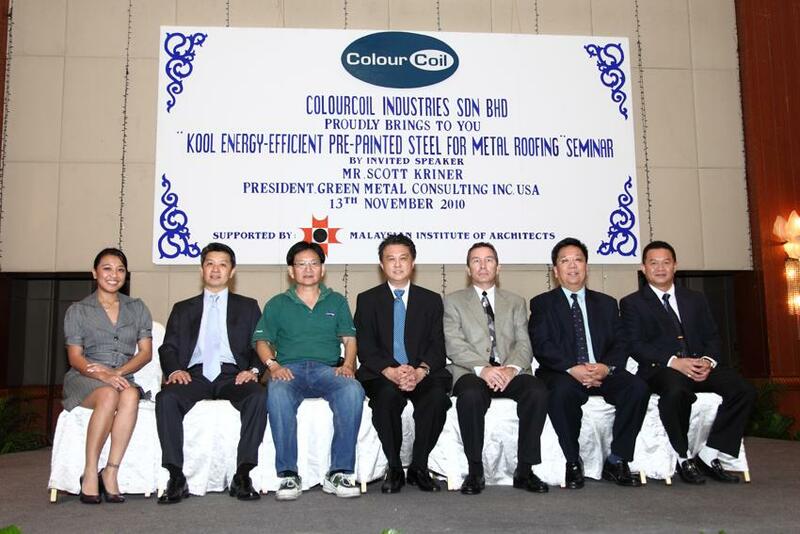 Last Saturday, 13th November 2010, Chapter organized a half day seminar on “KOOL Energy-Efficient Pre-Painted Steel for Metal Roofing” held at Grand Ballroom, Pacific Sutera Hotel. It was attended by 55 participants from PAM. The seminars started at 8.00am with registration and lucky draw ticket. This seminarwas success by a generous grant from Colourcoil Industries Sdn Bhd. After the registration, the Master of Ceremony, Ms. Zyee Dullie, Sales & Marketing Executive of Colourcoil Industries Sdn Bhd welcomed everyone and invited Chapter Chairman to deliver his speech. The MC introduced the invited speaker from the United States of America, Mr. Scott Kriner, President of Green Metal Consulting.Inc to present his slide. After the Q&A session, the MC invited Mr. Peter Wong, Commercial Manager of Colourcoil Industries Sdn Bhd to talk about the product of metal roofing and followed by the prize giving for the lucky draw winner. Before the seminar ended the MC thanks to all attendees and invite Mr. Roger Ling, Managing Director of Colourcoil Industries Sdn Bhd to present the mementos to PAM and the invited speaker, Mr. Scott Kriner. 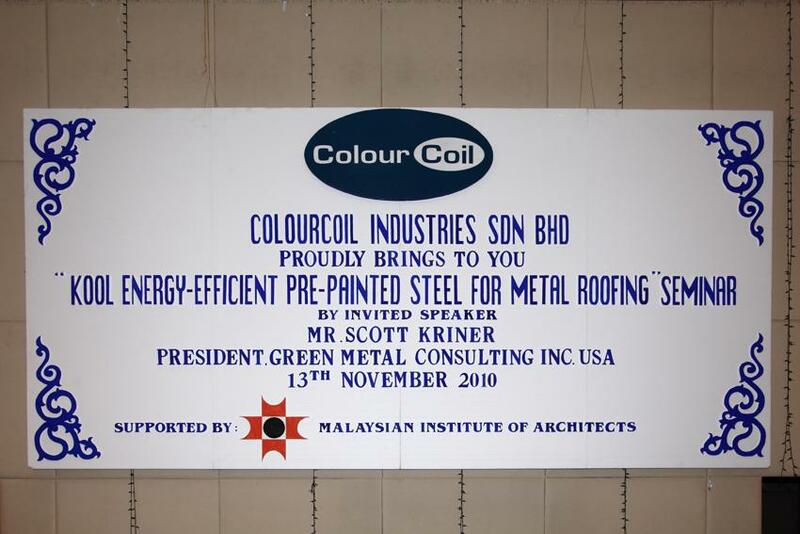 The seminar ended at 1pm with a big thank you note to Colourcoil Industries Sdn Bhd for their generous sponsorship to make this seminar an enjoyable one.